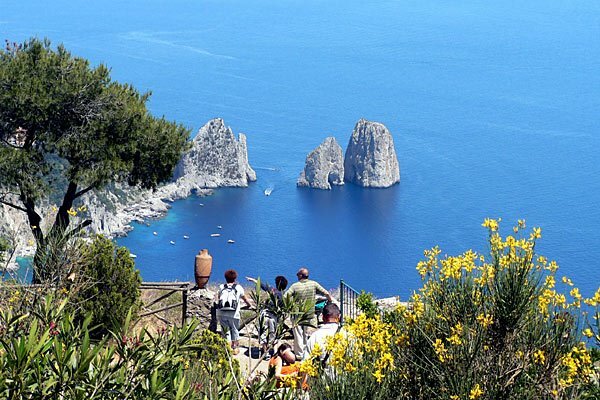 The dreamy island of Capri is an Italian island off the Sorrentine Peninsula. It has been a celebrated beauty spot and resort since the time of the Roman Republic. 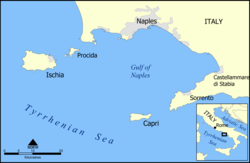 You can reach the island by taking a ferry from either Naples or Sorrento. I have only tried the Naples option because it was closer coming from Rome. Unfortunately I don't have the best impression of Naples, probably because of negative reports from people (the Mafia was mentioned several times) and the fact that I have used the public transport there. Spending forty minutes at a bus stop near the train station did nothing to appease my preconceived fears and the host of characters sharing the bus stop with us only managed to instil me with a slight feeling of paranoia vis-á-vis my rucksack filled with grubby clothes. Needless to say I was a happy little camper when I was getting on the ferry to Capri. Capri really is very pretty and we stayed in a lovely hotel called Bussola de Hermes in Anacapri. The staff were very friendly and helpful, and the rooms were really comfortable and clean. Check out the hotel’s website on this link Hotel Busso de Hermes. If you ever end up on the island of Capri then I would recommend the cable car that can be accessed from Anacapri. It gives amazing views over the island (see picture on the right for one of the views). Another tourist attraction is 'The Blue Grotto (Grotta Azzurra)' which is a noted sea cave on the coast of Capri. This grotto has a partially submerged opening into the sea, as do other grottoes into the island, such as the green, white and magnificent grottoes! 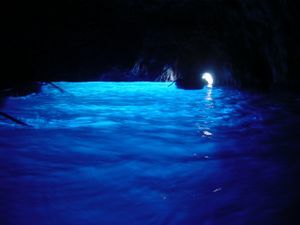 Roman emperors with villas on Capri reportedly used the Blue Grotto as a private bath. You can get a bus to the Blue Grotto from Anacapri or you can access it by boat. We took the bus option and got a small rowing boat into the grotto. We had to lie down in the boat while the guide pulled the boat and us into the grotto with a chain, that is permanently attached to the cave entrance, because the tide was relatively high at the time. Inside the grotto the sea seems to be lit from underwater. It is a magnificent fluorescent blue color, hence its name. The underground passages leading to the grotto are partially sealed and supposedly once were connected to catacombs of Roman tombs. The island has some lovely restaurants in both Anacapri and Capri, with a great choice of food and wine. The island is very small and in many ways reminded me of a toy town with winding roads and really small cars. The funniest vehicles that they have on the island are these three wheel little trunks that are literally half the size of the three wheel van belonging to Del Boy and Rodney on 'Only Fools and Horses'. The weather we experienced on Capri was lovely, mainly in the mid twenties. However despite this pleasant weather the five of us managed to get ourselves scorchio-ed (sunburnt) on the second last day of the holiday. If it is sunny and windy, and you only have factor 4 suncream on you then you are going to get burnt. Luckily the local supermarket stocked natural yogurt which is a soothing relief to sunburnt skin!!! 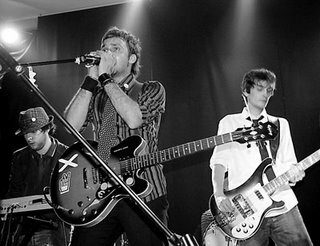 An up and coming Italian band called 'Club 11' are currently in the process of recording. 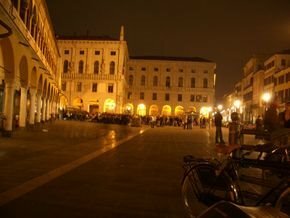 The lead singer of the group is Carlo of 'Tommy and Carlo' fame (see previous 'Padua, Italy' post). Having had a pleasure of listening to some of their music I look forward to hearing more of it. Check out club11's website on this link Club11. Irish guys that wear cardigans have it going on upstairs. They generally tend to be intelligent and fairly relaxed guys. Three cheers for guys in cardigans!